If you are a college or university student, you can now benefit from our Course Equivalency Services and have your academic credentials assessed to meet international standards. Through our equivalency services, you will get a chance to have your degrees verified and course credit transfer to any institution worldwide. Not only this, the equalized degrees will also improve your career prospects, enabling you to get rewarding jobs anywhere in the world. 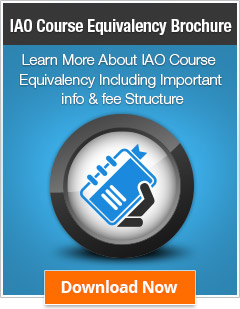 IAO Course Equivalency Service saves you from a lot of unnecessary paperwork and makes your employment and academic process easier. Your degrees will be accepted by worldwide employers. Your success ratio will increase both academically and professionally. Your academic credentials will be easily transferable to other educational institutes. Other career services such as resume-writing and career - counseling will also be made available to you. IAO conducts the verification and validity of the academic credentials issued by educational institutions throughout the world. The verification ensures that the degree/course meets the criteria of the respective country where you want to apply for education or employment. All graduates desire to work at renowned and prestigious organizations. With an increasing number of individuals vying for top executive positions, and even those applying for lower level positions inflating their academic credentials in an effort to stand out, this is becoming difficult. IAO allows you a chance to get your accolades verified and authenticated for potential and fair hiring. Once authenticated, there is merely a chance that you won’t make it to your dream job. Additionally, IAO equivalency services offer you a chance to get your academic credentials equalized for credit transfer to any institution locally or globally. 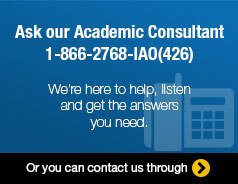 All you have to do is provide IAO with the relevant documents and complete details. When you apply for credit transfer, you are usually required to provide your academic transcript(s) which lists the course grade and other attributes from each institution you have attended. Each transcript and the listed courses are tentatively evaluated to see if they satisfy the requirements of the receiving institution.